Childcare is a challenging, fun and hugely rewarding career choice. You’ll work with children from all backgrounds and gain the opportunity to really shape somebody’s future. When we post a vacancy for childcare workers, you’ll find the details in your local paper, school newsletters or at the job centre, and here on our website. •On receipt of the completed application form, the management of Discovery Vine arrange to interview the applicant providing their qualifications and experience are suitable for the post. •Once a date for interview has been mutually agreed with all concerned, the applicant’s nominated referees are contacted. •The applicant is asked to bring the originals and copies of all relevant qualifications and proof of identity to the interview. This could include a marriage or birth certificate, or a valid UK passport. •Interviews are conducted by Discovery Vine’s management team. •The management consider the suitability of the applicant for the vacant position following the interview. This is done with reference to the answers given to interview questions and the references that have been provided. •When interviewing more than one person for a position, the same interview questions are used for all applicants. •All applicants are contacted to inform them of the management’s final decision. • Successful candidates are then required to complete the necessary forms for OFSTED and to obtain police clearance from the CRB. 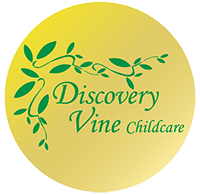 Discovery Vine work to an equal opportunities policy that ensures that all people are treated with equal respect. No applicants or employees will be discriminated against because of race, culture, class, religion, gender, ability or disability.